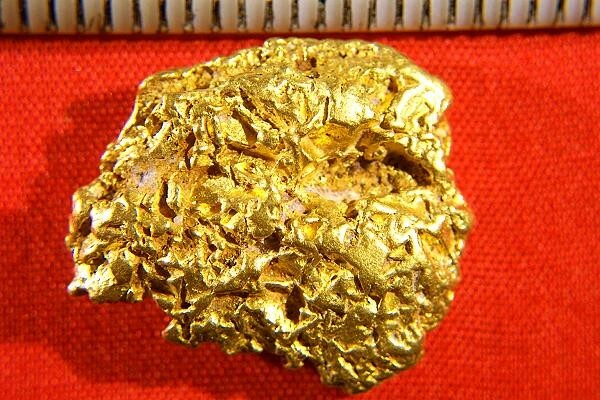 This large 16 Gram (over 1/2 troy ounce) Natural Australia gold nugget is very rare. It is covered with a mass of eroded gold crystals. You can see the eroded crystals clearly under magnification. It is extremely rare to see gold crystals in a natural Australian gold nugget, with a gorgeous flattened shape. Australian gold nuggets are among the purest in the world at 94% to 98% pure gold. The size of this fantastic Australian gold nugget is just under 1" (25 mm) long. 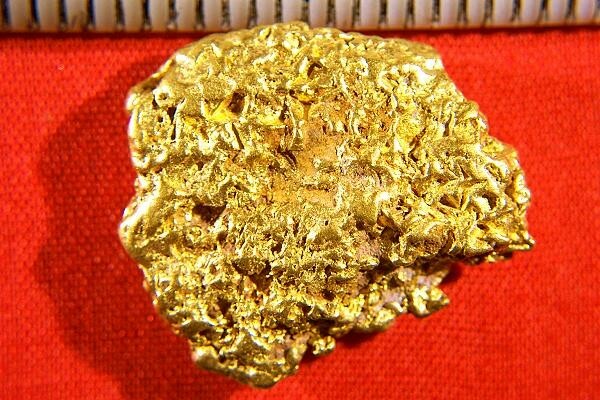 It has gorgeous color and is a nice clean jewelry/investment grade natural gold nugget, the highest grade you can buy.